Spell checker relies on 'aspell' to be installed. To enable spell checker, the package 'aspell' needs to be installed on the server side. 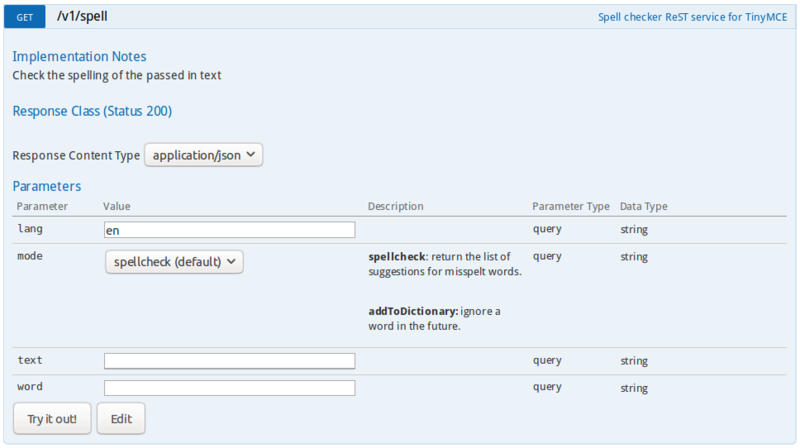 TinyMCE calls a web service 'v1/spell' to check spelling and store words in the user's dictionary. When the user clicks the spell check button the text is sent to the server via the web service 'v1/spell' and resulting errors and suggestions are sent back and highlighted for the user. 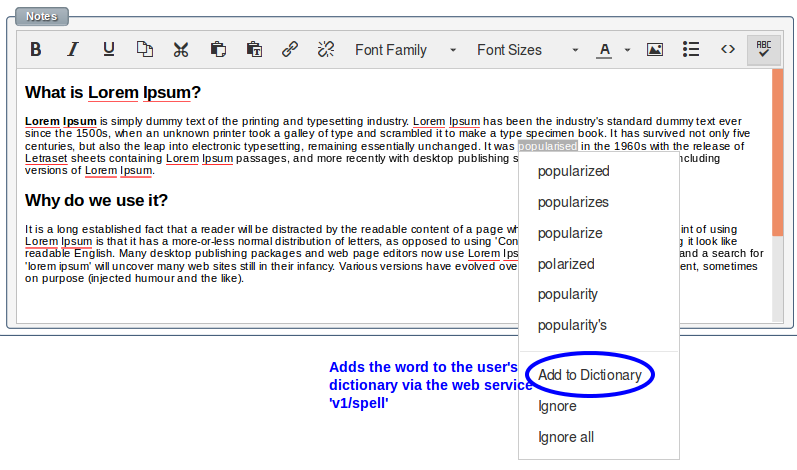 A web service "v1/spell" allows for the checking of misspelled words and maintenance of the user's private dictionary.